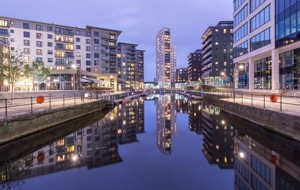 The British Business Bank together with the Local Enterprise Partnerships is holding a series of regional briefing events to tell local partners about the new £400m Northern Powerhouse Investment Fund (NPIF) and how to access it. An event will take place in each of the 10 Local Enterprise Partnership areas within the NPIF region between the 1st and 17th March 2017. The events will brief business advisers and the local business community on the new funding opportunities available and on how businesses can access the funds.